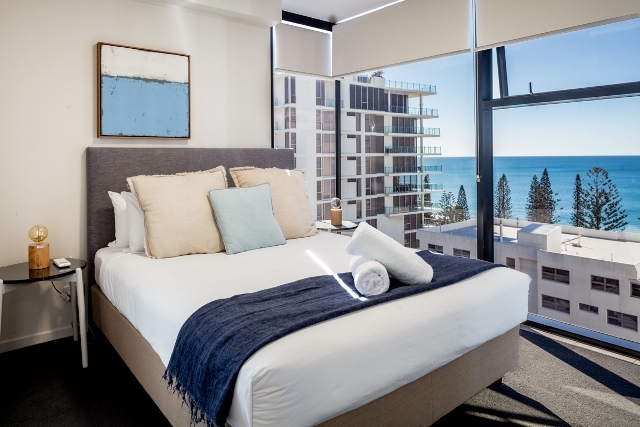 First Light Mooloolaba is the perfect Mooloolaba accommodation choice for guests seeking boutique, coastal living on the Sunshine Coast. 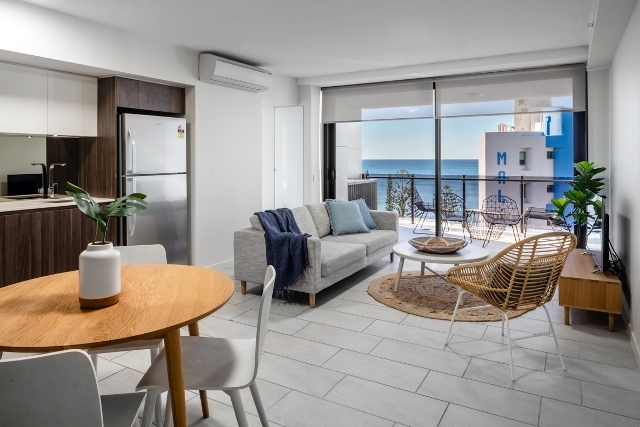 The modern apartments are designed with a luxurious feeling of space, with floor-to-ceiling glass sliding doors opening onto the private balcony, creating a perfect area to soak up the Queensland summer climate. All apartments feature the latest in luxury fixtures and fittings. Our apartments have modern furniture with a spacious dining/living area. Some of our comfortable and furnished rooms have partial ocean views.